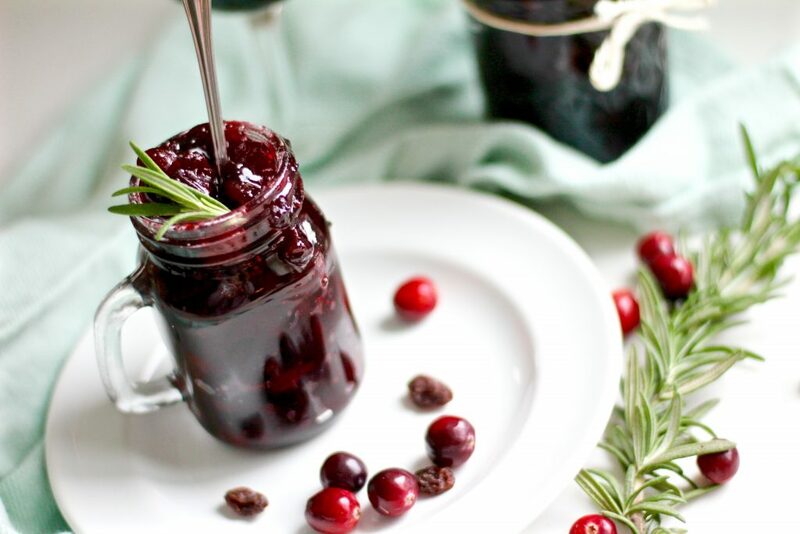 This balsamic port homemade cranberry sauce is the perfect gourmet addition to your Thanksgiving meal! 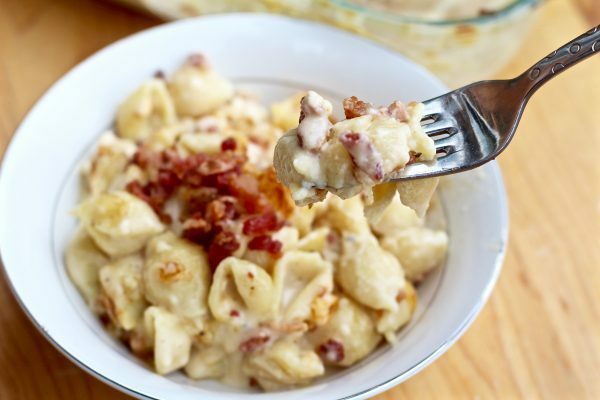 When it comes to the holidays, I’m always looking for a way to turn classic (but sometimes boring) dishes into something unique and flavorful. Taking cranberry sauce out of an aluminum can and dumping it in a bowl just didn’t appeal to me. 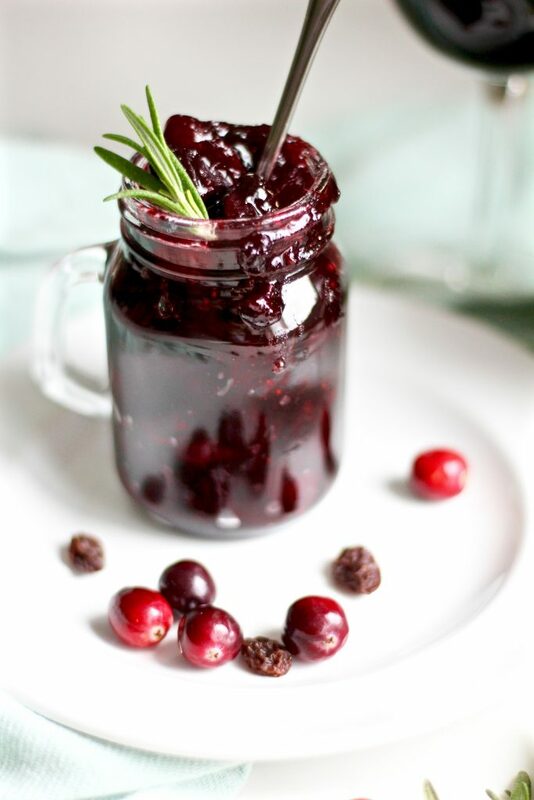 I love the acidity and sweetness you get from the cranberry sauce but wanted more depth and flavor. 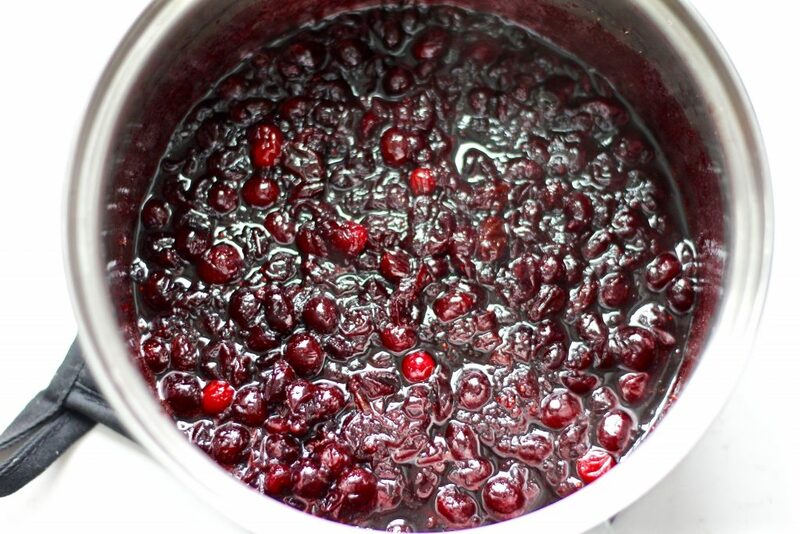 With fresh cranberries readily available during the holiday season, I set out to try making my own fresh cranberry sauce. 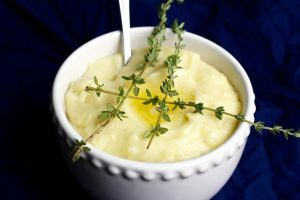 After spending some time reading a variety of recipes and experimenting with a few, I’ve settled on these ingredients… The port wine and balsamic vinegar add to the depth of flavor. 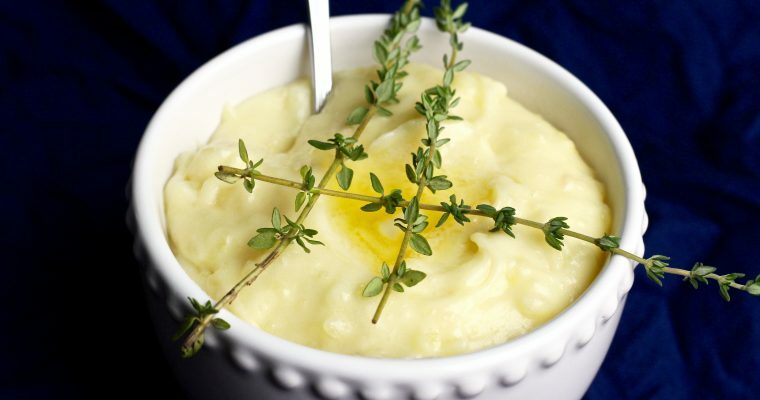 Rosemary and black pepper add a hint of spice. And the juicy raisins soak up all the flavors and add a burst of sweetness and texture variation to the fresh cranberries. 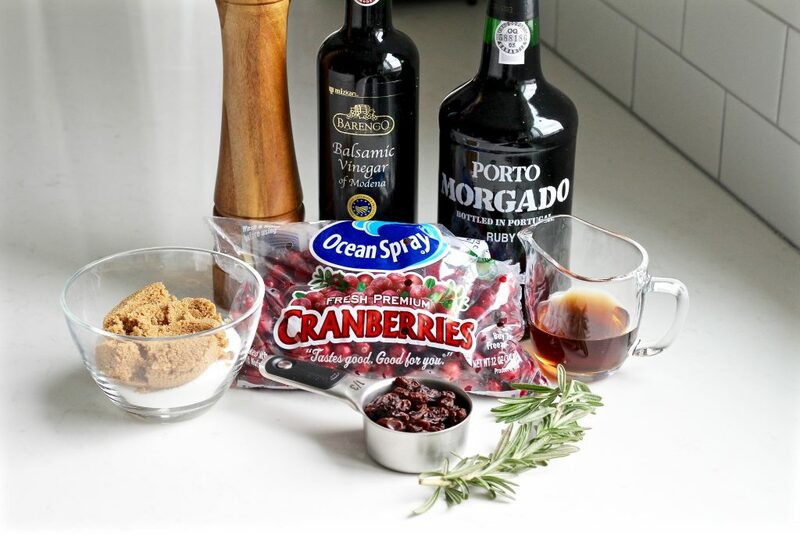 The balsamic port homemade cranberry sauce is fairly easy to make and can be made as early as a week in advance! 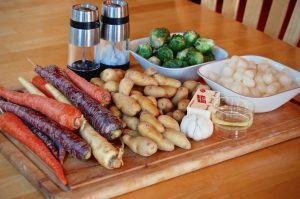 So if you’re a planner like me and want to get as much of the holiday meal prepped ahead of time as possible, this recipe is perfect for you! 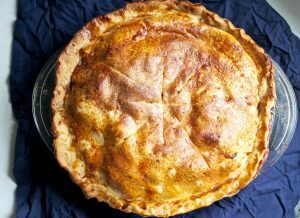 PS- while you’re at the store, pick up an extra bag of fresh cranberries so you can make this delicious spiced apple berry pie for dessert! 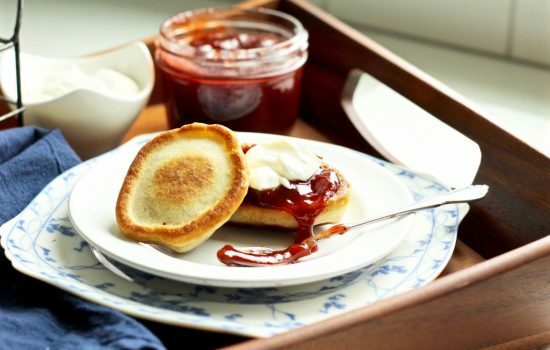 Combine Port, balsamic vinegar, sugars, and maple syrup in a medium saucepan. 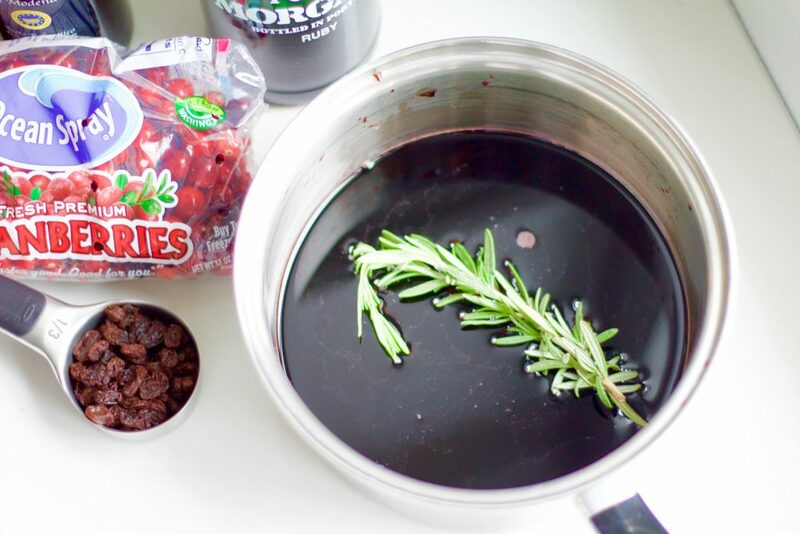 Add sprig of fresh rosemary and fresh ground black pepper. 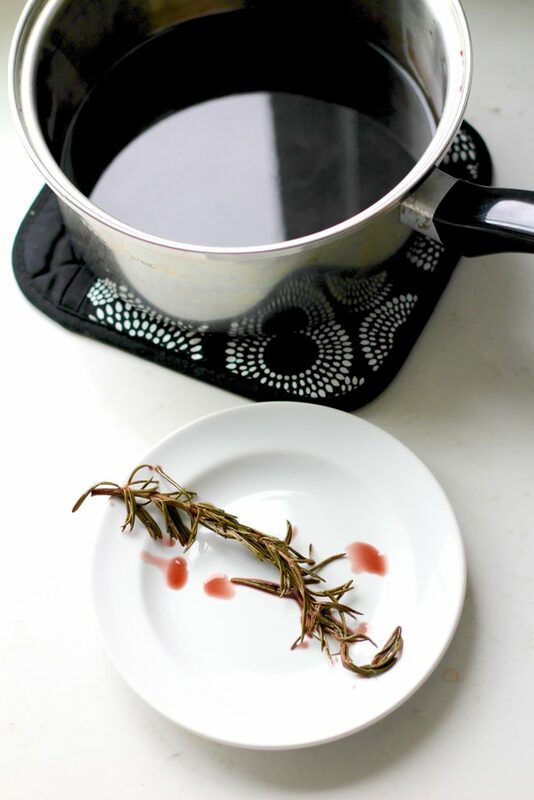 Bring to a boil, stirring occasionally to dissolve sugar. 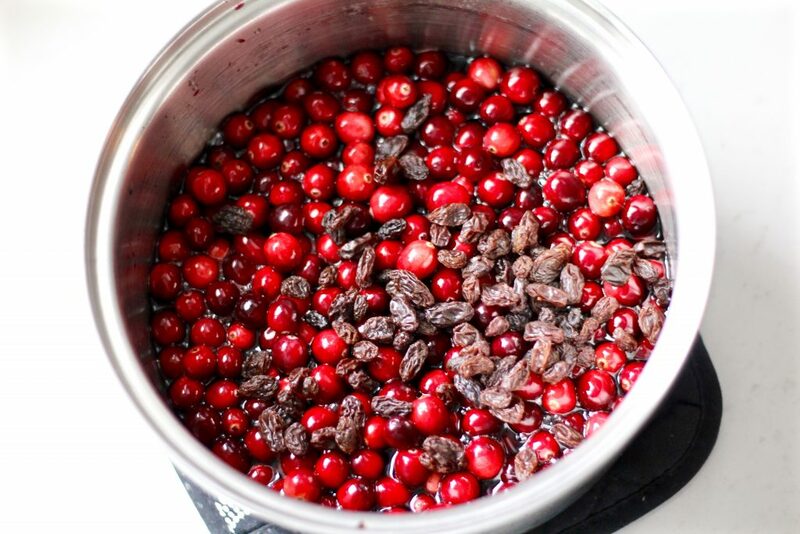 Add in the fresh cranberries and raisins. Turn up the heat to medium and simmer for about another 10 minutes until the liquid has reduced a bit and the cranberries have burst. 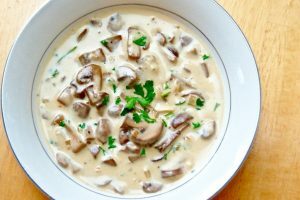 Set aside and chill before transferring to a a bowl or glass jar. 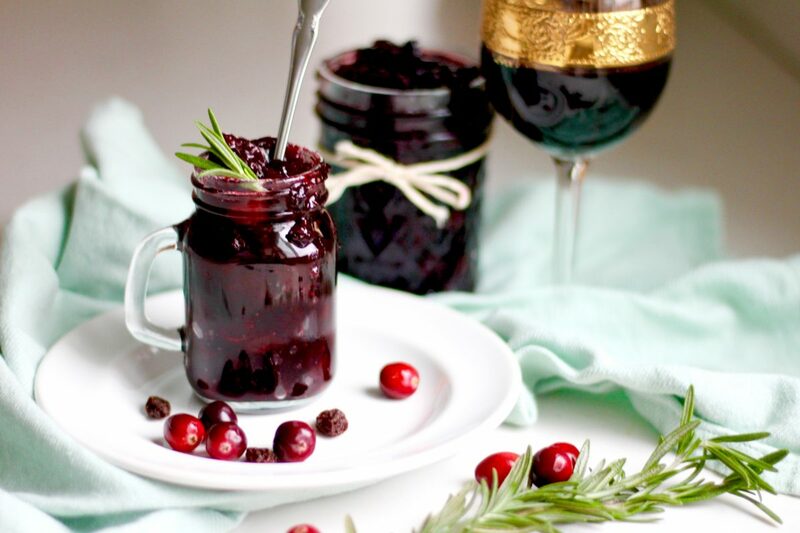 Serve the balsamic port homemade cranberry sauce with a rosemary garnish alongside your favorite Thanksgiving dishes.